Preserve the service life of your bearings and the availability of your machines by following the advice of NTN-SNR experts in mounting. Did you know that about 17% of premature bearing failures are due to incorrect assembly? the fitting of the bearings (too tight or not tight enough), not taking into account the shaft and housing tolerances. The consequences? 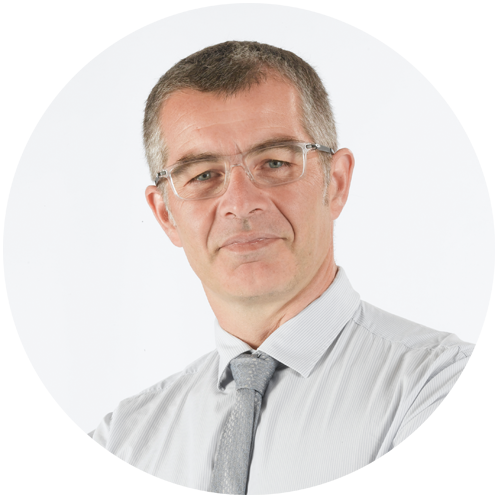 Ring fracture, compromised sealing, ingress of pollution or raceway damage. Identify the bearings in the drawings, specifications and procedures. Make sure that the bearing dimensions, shapes and positions correspond to NTN-SNR drawings and specifications. Prepare the parts and tools required for hydraulic or mechanical mounting depending on the method chosen. Carefully clean each part and tool. Check all parts and components are present in the setting of the bearings. Clean the work area thoroughly. Remove the bearing from its packaging. Use anti-fretting paste to facilitate the insertion of the bearing. Mount the bearing according to the chosen method: cold, hot or hydraulic. After mounting, lubricate with the correct grease for bearings, following the instructions on the leaflet. Before final start-up, check the correct functioning of the installation, especially for any anomalies such as noise, vibration, temperature, or abnormal play. Please do not clean the bearings (unless specified on the leaflet). They are protected from oxidation by a light oil film, compatible with all lubricants. NTN-SNR has developed its SERVICES range (such as technical support, training) to increase your skills and optimize your maintenance costs. The simplest technique, cold mounting is suitable for small and medium sized bearings, associated with normal fits. NTN-SNR has developed a range of tools to facilitate this. perform assembly using a mounting sleeve, supporting the tight fit ring. This avoids excessive loads passing through the rolling elements and damaging the bearing. it is adviseable to use a tapered bore bearing in conjuction with an adaptor sleeve. Hot mounting is customary when the fitting of a bearing onto a shaft requires a large press force, either due to its size or its high interference fit. Induction heating provides the best answer in terms of safety, cleanliness and speed. This technique is more suitable than heating by oil bath, hot plate or oven. What temperature should it be heated to? Moreover, the heating temperature depends on the dimension of the bearing, the required fit and the material of the shaft. The temperature should not be too high (130 °C maximum), otherwise the characteristics of the steel or the internal components of the bearing may be compromised. How should it be heated? Induction heating is made with an induction heater. What precautions should be taken with hot mounting? Hydraulic assistance is required for the mounting of large bearings with a tapered bore. This requires considerable force, which is difficult to achieve by mechanical screw clamping. inject a film of oil on the surface of the contact between the shaft a nd the inner ring. This reduces the friction generated during fitting and facilitates tightening. use a hydraulic nut to provide the necessary thrust required for fitting. combination of the two methods above. 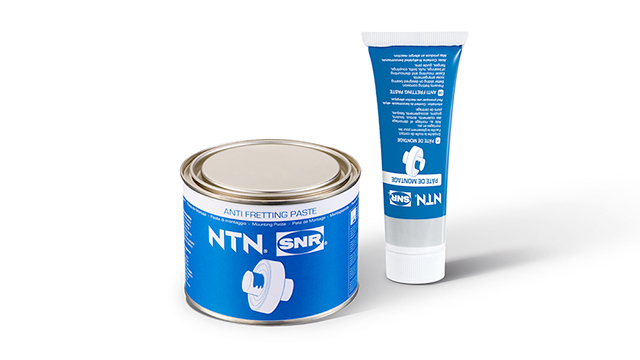 NTN-SNR can also advise on the DISMOUNTING and LUBRICATION of bearings. To make mounting easier, and to avoid fretting corrosion of the shaft or housing, we recommend you always use an anti-fretting paste. This thick lubricant maintains the surface quality of the parts that are subjected to sliding forces. Without this paste, corrosion gradually increases the clearence between the bearing and the shaft (or housing). 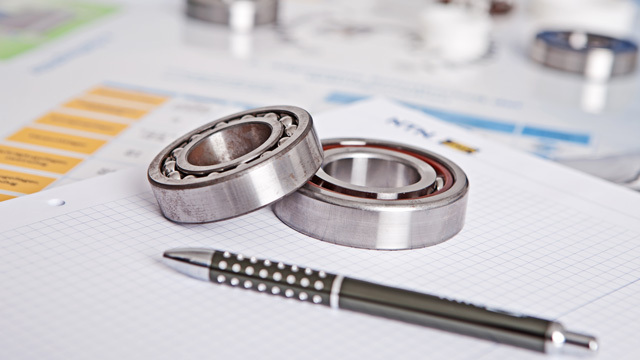 Over time, this would lead to vibrations or even the premature deterioration of the bearing and mounting surfaces.